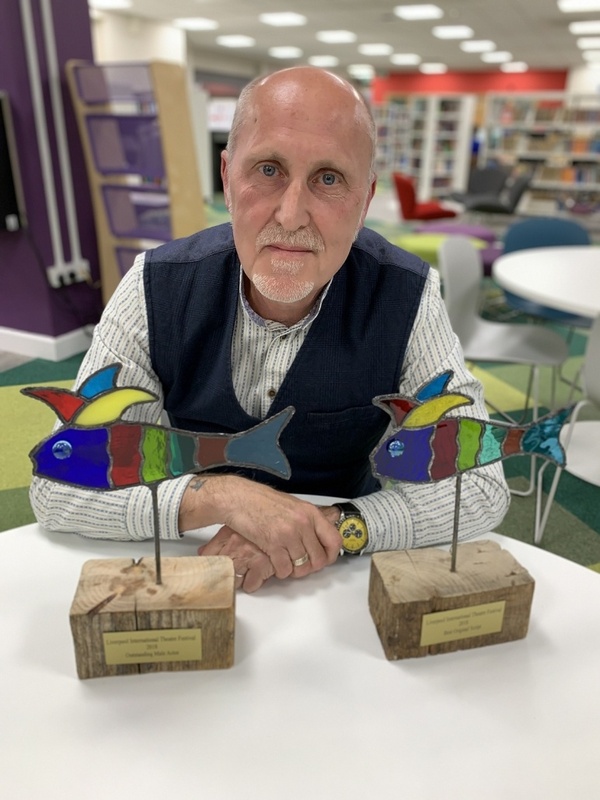 Vic Mills, GCSE English tutor at Bridgend College, has recently been in Canada representing Wales and the UK at the Liverpool International Theatre Festival (LITF). The festival, held in Nova Scotia every two years, is a celebration of amateur theatre from all over the world. For five days, 23 countries perform plays in the language of their choice, with a run time of between 30 and 50 minutes. The festival, organised by a group of volunteers with the aid of government and community sponsors, is a mix of local flavour and international flair with a diverse audience that attracts a wide range of ideas, setting the stage for some of the world’s best unheard voices. Vic’s play, ‘The Ruins of Talgarth’, is based on true events set around an asylum in Wales from the period between the 1930s to the 1960s. Themes include misuse of power and gender abuse and is portrayed from the perspective and voice of a woman. The play was originally commissioned by Disability Arts Cymru and coordinated through the Blackwood Little Theatre, who work with funded and supported projects to develop productions ranging from dramas, one-act plays, comedies and pantomimes. The festival ends with a closing ceremony, featuring an honour guard of the Royal Canadian Mounted Police and the awards presented. ‘The Ruins of Talgarth’ won Best Original Script and came overall second at the festival. Vic himself was awarded the title of Outstanding Actor while his leading female, Peta Maidman was awarded the title of Outstanding Actress. ‘The Ruins of Talgarth’ was also given the People’s Choice Award at the festival. This is an esteemed award selected by audience members on the last day of the event and presented by the Lieutenant Governor of Nova Scotia. Vic hopes to bring the play back to Wales sometime in the near future.